India is famed for the majestic Taj Mahal, bustling city of Mumbai, and pink hued walls of Jaipur. However, the country’s unique architecture is not all there is to it. 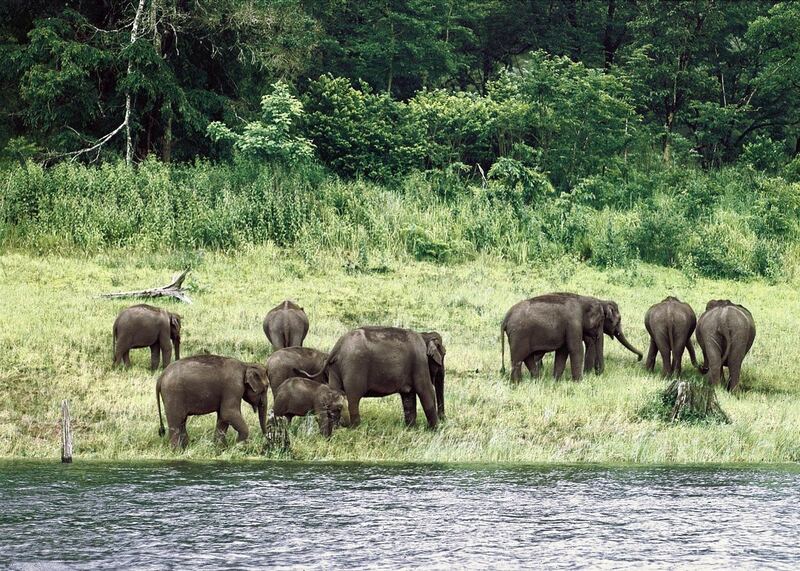 India is also on many wildlife enthusiasts’ bucket lists for its beautiful jungles and its diverse wildlife. 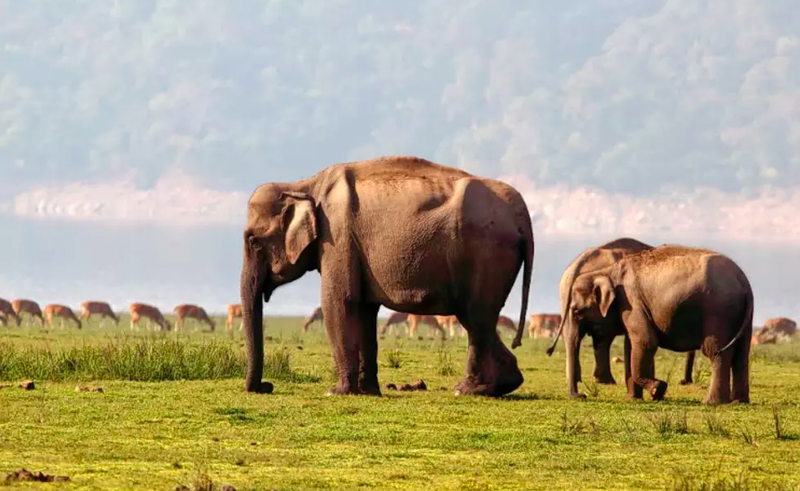 Apart from domesticated animals such as cows, water buffalos and chickens, India is home to huge populations of wild animals native to the country. In fact, India is one of the best places in the world to see tigers in their natural habitat. The cats are a powerful icon of India’s cultural and natural heritage, and their survival in the wild has been a top priority for WWF-India since its inception. 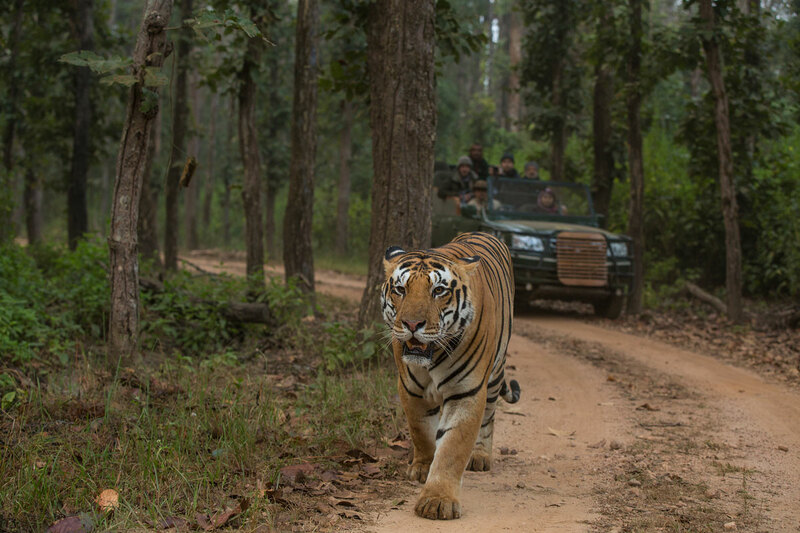 The organisation’s efforts began in the early 1970s with the support it provided towards Project Tiger, the first-ever tiger conservation programme launched by the Government of India in 1973. These magnificent creatures can be seen alongside many other animals native to India — such as the Asian elephant, snow leopard, Indian rhino, and Himalayan wolf — at the many safaris scattered around the country. A lesser-known fact for visitors to the country, India is home to 99 national parks, 40 tiger reserves, and 450 wildlife sanctuaries. If you’ve been holding off going on a an authentic safari adventure because Africa’s too far, an Indian wildlife safari will surprise you. Without further ado, here are the best nature parks and wildlife safaris in India to plan a visit to. 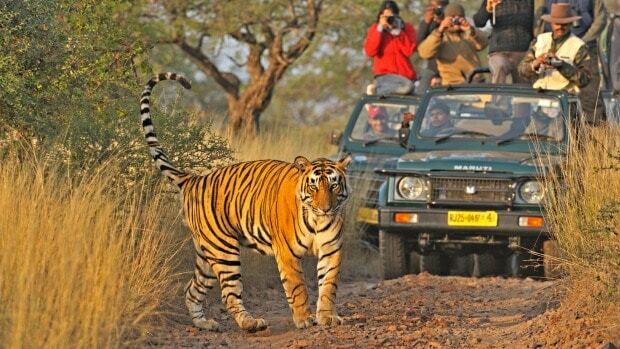 If you’re squeezing a wildlife safari into your holiday to India, Ranthambore is the most convenient — located just five hours from Agra (home of the Taj Mahal) and Jaipur, the capital of Rajasthan. 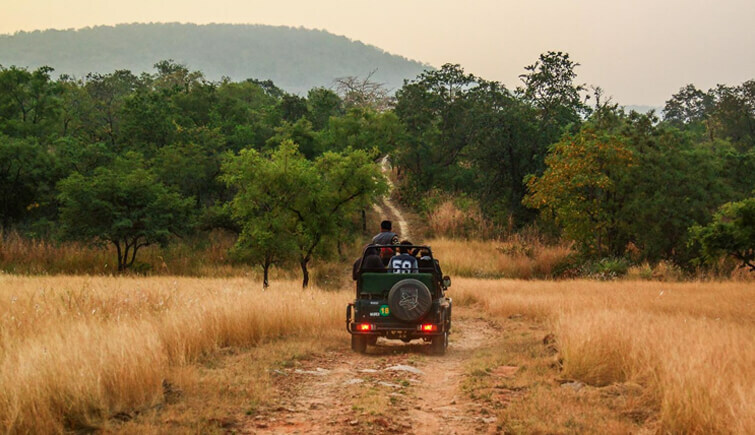 Not only is Ranthambore National Park a fantastic tiger safari location, it is also unbelievably beautiful, with steep rocky hills, dry forest and grassy fields and lakes, as well as a historic fortress standing within the park. The national park has recently gone through an expansion into five new areas, which included the addition of a new fleet of jeeps. Additionally, visitors can stay in the luxury tented camps nearby, such as Aman-i-Khas, Sher Bagh and Oberoi Vanyavilas. Here’s where author Rudyard Kipling found inspiration for his famous work The Jungle Book. 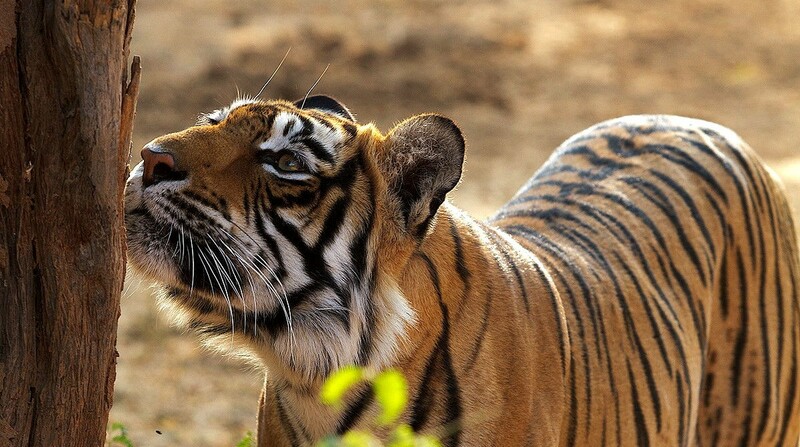 Kanha National Park, located in the Madla and Balaghat districts of Madhya Pradesh is India’s finest tiger reserve. It was originally established as a sanctuary in 1933, declared a National Park in 1955, and made a Tiger Reserve in 1973. Located 75 miles from the nearest airport (Jabalpur’s airport), the national park is home to approximately 125 tigers. Like all the other parks of Madhya Pradesh, Kanha National Park remains open for visitors from 1 October until 30 June. The best time to go is in October, post monsoon, where the jungle becomes more dense with lush greenery and you’ll get some beautiful sightings of the jungle and wildlife. India’s oldest and first national park lies in the Nainital district of Uttarakhand. Jim Corbett National Park, which spans over 520 square kilometres, is characterised by landscapes varying from hills, marshy depressions, riverine belts, grasslands and large lake. Part of the larger Corbett Tiger Reserve, the national park is where Project Tiger was first launched in 1973. Besides a healthy population of tigers, the national park also shelters rare species like otters and the endemic fish eating crocodile. Located close to the temples of Khajuraho is Panna National Park, famed for its dramatic landscapes and wildlife such as tigers, crocodiles and leopards. Hidden in the Vindhyan Hills in northern Madhya Pradesh on the banks of the Ken River, Panna Reserve covers an area of 542.67 sq km, 57km away from Khajuraho, a world heritage centre. Besides being home to Indian tigers, Panna also has other species like the Indian wolf, four-horned antelope, sloth bear pangolin, rusty spotted cat, leopard, carcal and gharial in its deciduous forests. Nagarhole National Park, also known as Rajiv Gandhi National Park, is the best place to see elephants up close in their natural habitat. The wildlife reserve in the South Indian state of Karnataka is one of India’s best kept secret, part of the Nilgiri biosphere reserve. Besides its rich population of animals and birds, the park is also filled with waterfalls, hills, valleys, streams, and forests. For guided tours to the national park, check out Scott Dunn’s Spices of Northern Kerala itinerary, which incorporates a wildlife safari in Kerala.